Delta is pushing in-flight culinary experiences to new heights with an overhaul of its Main Cabin and Delta One international offerings. Delta will start expanding its partnership internationally with Los Angeles-based chefs, Jon Shook and Vinny Dotolo, in Delta One on flights from Los Angeles to Sydney, Australia, after customer satisfaction scores skyrocketed in response to the chef duo's Los Angeles-New York (JFK) menu. Favorites like Valdivia zucchini spaghetti, braised flank steak and roasted chicken with a warm bacon vinaigrette promise to bring the taste of savory contemporary dining to flight. Customers on all Delta One international flights will continue to be served a selection of wines curated by Delta's Master Sommelier, Andrea Robinson that are paired seasonally with each menu. The Delta One inter​national menu expansion follows the recent announcement that Delta travellers out of Asia will dine on regionally sourced cuisine. Beginning March 1, regionally inspired meals designed by Delta's new, exclusive culinary consulting partners and chefs Jereme Leung and Norio Ueno will launch and pay respect to their Chinese and Japanese cultures so intimately steeped in food traditions. Starting this summer, Delta will also be partnering with Korean chef Woo-Joong Kwon to create regionally inspired meals for customers in flight. 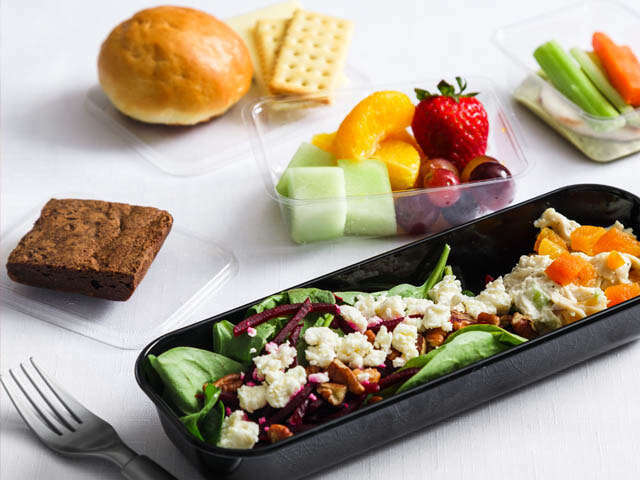 Beginning late March, as part of the airline's focus on personalizing the on-board customer experience, Delta One customers on flights from ATL and JFK will also have the option to pre-select meals to ensure they receive their first choice. Customers eligible to participate in pre-select will receive email communication three days prior to their flight asking them to select their meal. Delta will roll out pre-select to additional markets throughout the year.